Alan and me have submitted 2 sessions this time. In Session 1882 we want to show you how you can use PowerCLI to manage your ESXi servers. Remember that the COS will be gone in the next release. But as we will show you in this session that will not be a problem when you use PowerCLI. Session 1883 is a PowerCLI Best Practices session. We will show you all the tips and tricks we collected over the years in the PowerCLI Community, on our blogs and while writing our PowerCLI book. 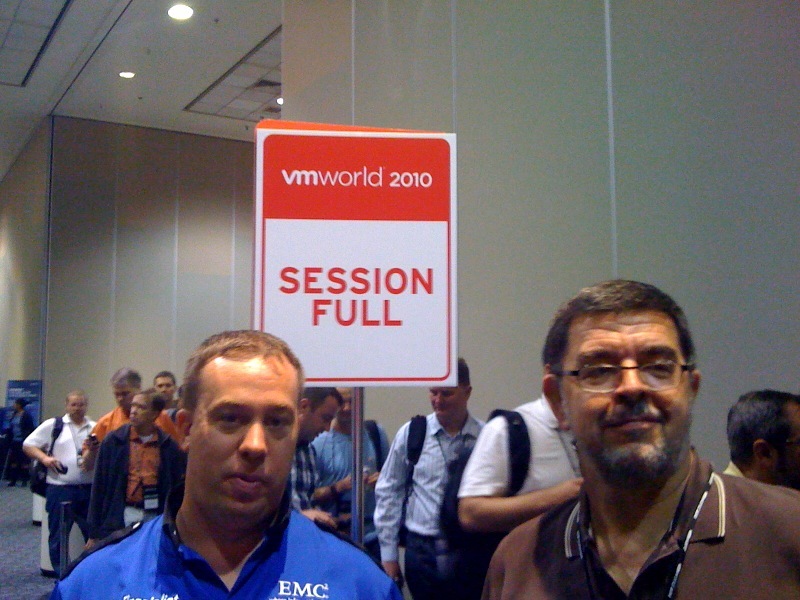 During VMworld 2010 our sessions were apparently highly appreciated. We did in fact present our session 5 times. We promise you that the sessions we prepared for VMworld 2011 will be even better and more spectacular! So please vote for 1882 and 1883 and enjoy our sessions during VMworld 2011.
voted for both…Hopefully I’ll see you there!